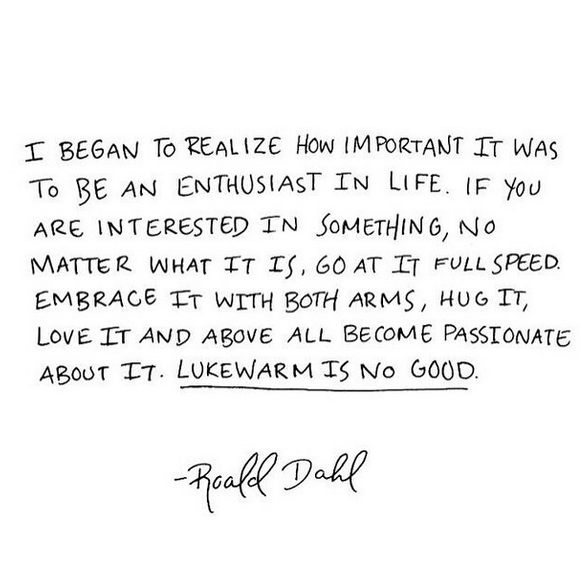 I stumbled into this quote from Roald Dahl on Instagram a few months ago. It helped me a lot and also encouraged me. Today I saw this quote written down on my sketchbook while I was listening to the music called Satelite by Jin-woo Jung. I just thought that this quote and the song might match together well and it ended up with great harmony. I really didn`t know what kind of videos to put on with these. As the quote says, I`ve decided to put some clips which I could show you what I passionate about. Some of clips were taken by a year ago, some of them were from yesterday. Hope you guys enjoy this short video. Most of all, hope this video would inspire you guys to start something or keep your passion on something! Thank you! Music : Satélite (inst.) - Jung jin-woo.